Snehithuda is a regular mainstream story but stressing more on the bond of friendship between the lead pair which slowly evolves into love. Sai (Naani) who does not have any family is a kindred soul with a care-free attitude. He has the habit of staying in houses when the inmates go on a tour. He has a chance meeting with Savitri (Madhavilatha) and they meet often in spite of differences of opinion and attitude between them. One fine day, Savithri walks out of her home and requests Sai to give shelter to her. Sai goes out of the way to help her and a bond of friendship develops between them. The rest of the story deals with the reason for Savithri to leave her home and narrates the various incidents that strengthen their bond into affection and evolve into love. Madhavilatha from our own state has shown that she has the requisite talent and the gift of performance. She made her debut with Nachavule and has ample scope in Snehithuda to emote and showcase her thespian skills. Nazar and Tanikella Bharani are very convincing in their roles. Brahmanandam and MS Narayana give the comedy support. All others are quite adequate in their respective roles. Music by Sivaram Shankar is the main strength of this film. The songs are good and apt to the situation. 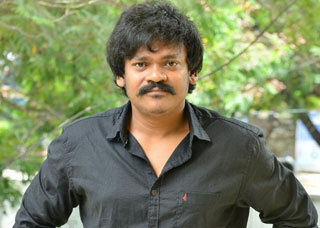 The music director earlier scored music for the film Priyamaina Neeku. The cinematography, editing and background music are of good standard. Snehithuda, with a sensitive story line, good music and convincing performances by Naani and Madhavilatha, will appeal to all sections of the audience.